By now, I'd bet money on the fact that you (1) have heard that Kim Kardashian West is launching her own beauty site/line, KKW Beauty, and (2) Kim coming out with a contouring kit that rivals the look of the collab she and little sister Kylie Jenner released earlier this year. “A lot of my stuff is going to be for skin…[I’m] trying to mirror skin care with makeup. It’s going to be a different vibe; it’s not going to be a full color cosmetics [range] with shadows and all of that to start. I will probably do some kits here and there of specific [makeup] looks I’ve done and keep it within the looks,” she said. “I am older than Kylie. We definitely have a different audience. We do have a lot of similar things—but we aren’t doing the same products, so we won’t run into that overlap. We’re really cautious of that. 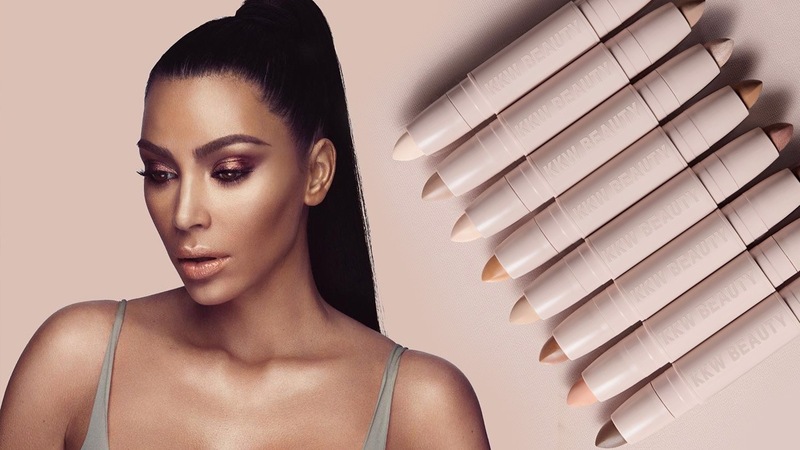 We work together to make sure that we don’t overlap like that,” Kardashian said...“Ultimately, I think once it launches and people see we are a really different brand, it will be able to coexist, but be so separate." So, there you have it: Kim isn't looking to copy her younger sister and wants to create products Kylie isn't dipping her toe into yet, so looks like this cosmetics case is closed...for now, at least.